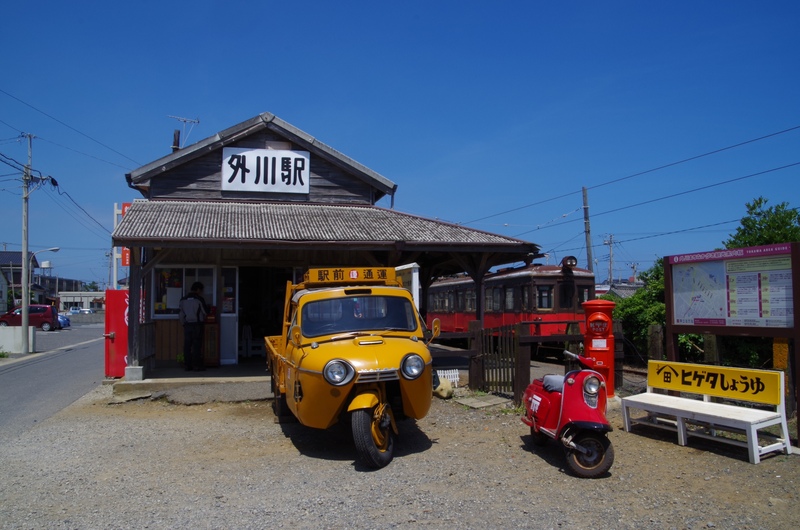 The old building is Tokawa station of the Chōshi Electric Railway Line founded ninety years ago. They are nostalgic in this picture , taken today . Especially , the auto-tricycle is, for me. Because, they were seen in Japan, my childhood. But, in these days , they are not. Previous Previous post: My companionable building ?